The legislation bans double-cycling billing. The new rules will probably help some people who have gotten behind on their credit card and have the means to pay it off. I, for one, don’t agree with the argument that the bill makes good credit holders pay for the bad. It’s entirely the choice of credit card companies to raise rates on the good consumers. They are choosing that option, so they can continue to enjoy enormous profit margins. Of course, my ultimate advice is for everyone to cut up their credit cards. But, hey, that’s just me. Your school, anmlui association, may offer a credit card. 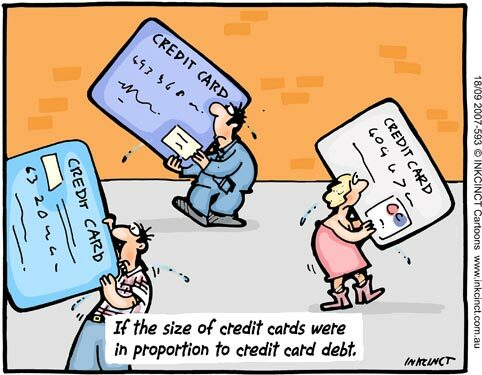 You may also build credit, by becoming an authorized user, on another’s credit account, e.g., your parents. Your parents, may have cards issued in your name, on one or more of their accounts, each account, will show up on your credit report, as if it was yours. Bear in mind, if the primary card holder does not make timely payments, the delinquency will also show up on your credit report. The delinquency will appear, as if it was yours. Previous post Unemployed journalist rule #1: Get copies of your work immediately!